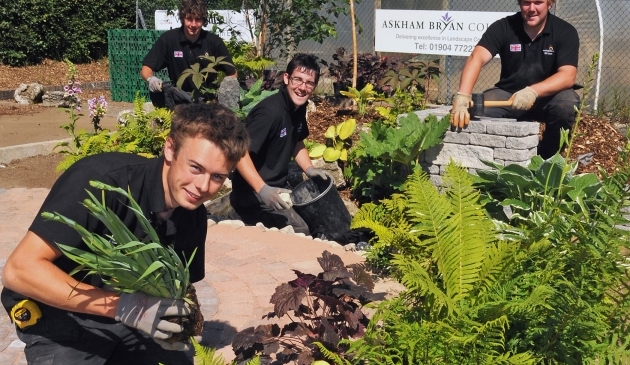 Are you interested to know about the horticulture degree and its career outlook? A majority of people in the world love plants. In fact, the survival of the entire beings on earth depends upon them. Cultivated plants, in particular, serve the different needs of people in a variety of ways. From the source of the daily food that we eat to the gardens that make us feel good, plants are cultivated for various usages. Horticulture is a discipline of knowledge that deals with the various aspects of cultivated plants. It can be summed up as a mixture of scientific and social knowledge that studies and guides the use of cultivated plants in the society. To have a feasible career in horticulture, earning a 4 year degree is considered to be a prerequisite. 2-year associate horticulture degrees are also available for students to study the basic aspects of horticulture. During the study of the course, students learn to create and maintain the optimum balance of soil, air, water and sunlight to ensure maximum productivity. Besides this, the social aspects involved with horticulture like marketing, business, aesthetics, etc are also taught in detail to prepare student to handle the demands of the potential jobs after they finish their course. Nurseries have grown to be big businesses throughout the world. The revenue generated by the trade of flowers and herbs total to billions of dollars every year. Thus, seeking a good career after graduation in nurseries may indeed be a good option. Organic and commercial farming have also been only on the upward growth trend. The experience and knowledge of horticulture thus are highly sought after. Landscaping, as an industry has been growing lately to serve to the needs of people who want to make their establishment look more beautiful and natural. It has evolved from a simple household chore to a well-paid occupational choice. With the increases in the specialized demands of customers, there have also been increases in demands for graduates of horticulture. Government based organizations dealing with food and plants often employ horticulture degree-holders for a variety of permanent and temporary jobs. Jobs as researchers, crop inspectors, safety regulators, etc. are available for horticulture students in the government. Commercial farming and plant research serve as the main source of revenues for plenty of multi-million and billion dollar enterprises. Hence, horticulture degree holders could practically be employed in several fields in the private sector. Various job opportunities ranging from sales representatives to researchers are on offer. Horticulture is being taught in hundreds of schools and universities throughout the world. Here are some of the best colleges rated by findthebest.com that could make your study worthwhile. After you earn your horticulture degree, what happens to your career depends upon the efforts you make. To earn well, you may need to take on challenging assignments outside the comforts your home and neighborhood. For horticulture degree holders, sometimes the easier jobs also often are the least paid ones too. Meanwhile if you can make the commitments and efforts, the degree you earn might pave the way for careers that could take you throughout the globe. If you wish to study further, specialized areas of horticultures may serve well to your interests. Hence, your life after earning your horticulture degree will depend upon the decisions you make.